Update February 28, 2017: Unfortunately, the Montana House Judiciary Committee tabled H.B. 518 on February 27. We look forward to working to pass it next year. Legislatures around the country are beginning to acknowledge the threat to our privacy presented by companies collecting and using our biometric information—the physical and behavioral characteristics that make us unique. Following on a biometric privacy law passed in Illinois in 2008, lawmakers in Montana are aiming to make Big Sky Country the latest state to enact protections for our faces, fingerprints, irises, and other biometric markers. EFF formally supports Montana’s House Bill 518, which would limit how our biometric information is collected, used, and shared. Under the legislation, private entities, including corporations, would need written consent to capture or share a person’s biometric information. They would also have to securely store it, and destroy it when the purpose for collection is completed. People could bring a private cause of action in court to enforce these critical privacy rules. As individuals, it is hard to prevent capture of our biometrics. For example, we show our faces in public, and we shed our fingerprints. 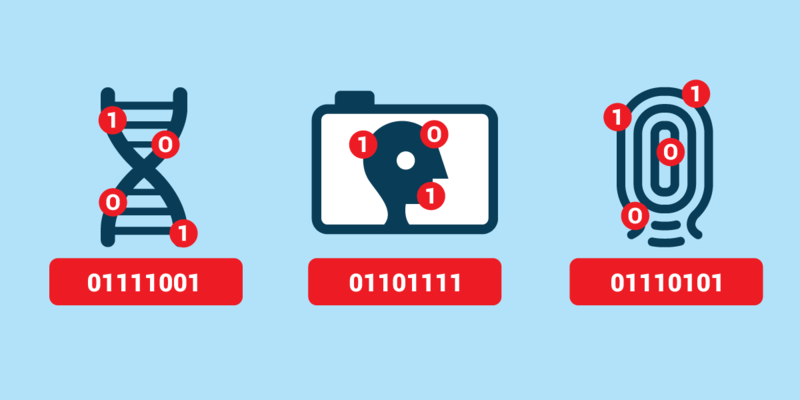 Unlike our passwords, we can’t change our biometrics, short of extreme medical procedures. After capture, it’s hard to know where our biometrics will go. It’s not just a matter of a company using our biometrics to invade our privacy, but also the threat of data breaches that may allow criminals to use our biometrics to break into our accounts and steal our identities. EFF has worked to protect the Illinois biometric privacy law. Now we urge passage of this Montana bill.